A luxurious suite once reserved for the widely celebrated British statesman, the Sir Winston Churchill Suite pays homage to its namesake, blending Victorian style, Egyptian mystique, and French elegance. 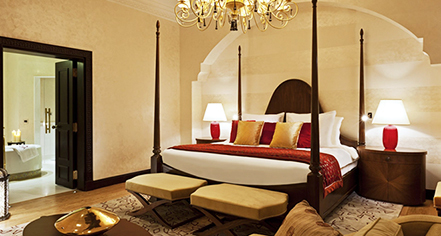 Situated in the Palace Wing, this glorious retreat boasts hand-carved furniture, high-ceilings, rich textiles, restored wooden floors, Oriental carpets, and romantic chandeliers. This 138 sq m/1500 sq ft suite is comprised of a stately bedroom with a king-size bed, separate living and dining rooms adorned with rich wooden furniture, and an 80 sq m/861 sq ft scenic terrace overlooking the Nile River. With a passion for Egypt, Sir Winston Churchill was one of the earliest guests of the Old Cataract, first staying at the hotel in 1902, during his visit for the inauguration of the Aswan Dam. 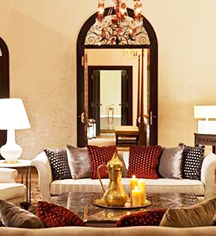 Fascinated by the inspiring decor, he returned to the Old Cataract during his many subsequent trips to Egypt. Discover the details of which his memories were made, view his art collection and sense his presence in his preferred suite.